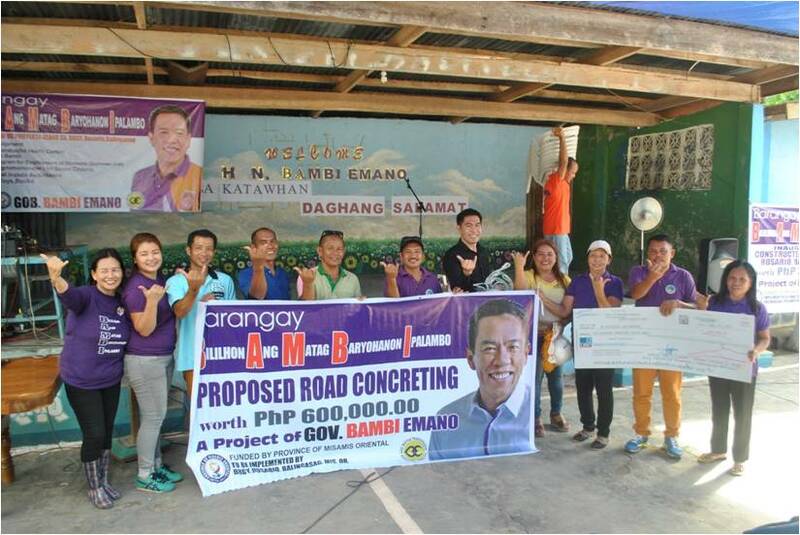 Some 176 infrastructure projects amounting to more than PhP 80M which funding come from the 20% Development Fund and General Fund were targeted for 36 barangays. 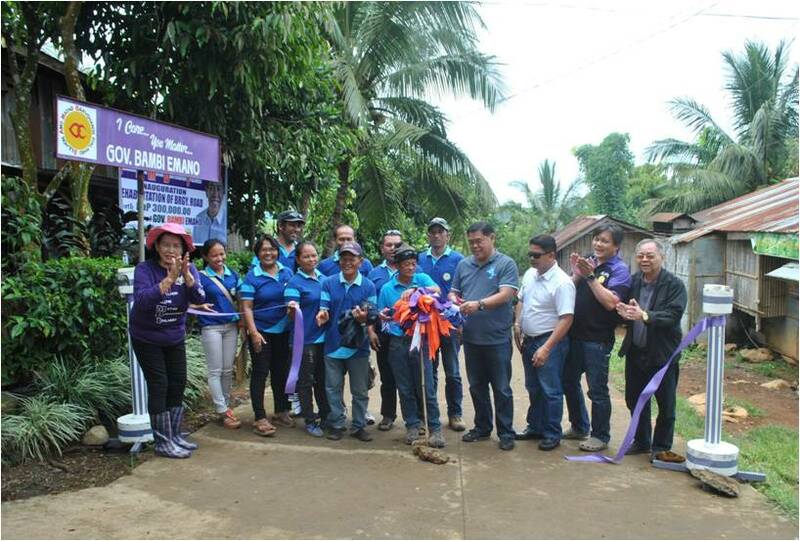 However, due to liquidation of funds previously transferred to barangays concerned, only six (6) of those were able to receive funding to cover some 17 projects. Gov. 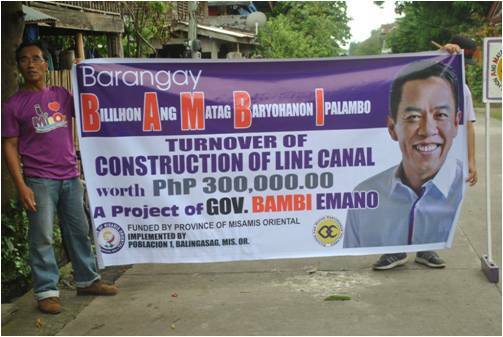 Bambi Emano turns over Php 300,000 for the construction of line canal at Poblacion 1, Balingasag, Mis. Or. 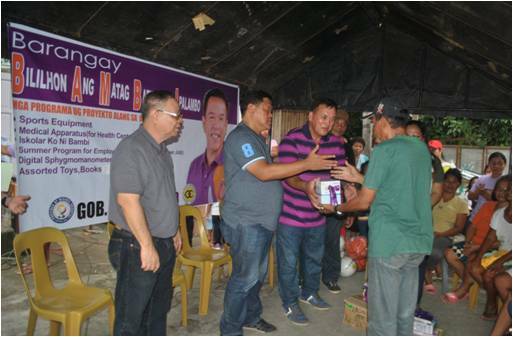 Provincial office staff giving out donated materials as a part of the Barangay Affairs Program at Balngiasag, Mis Or. 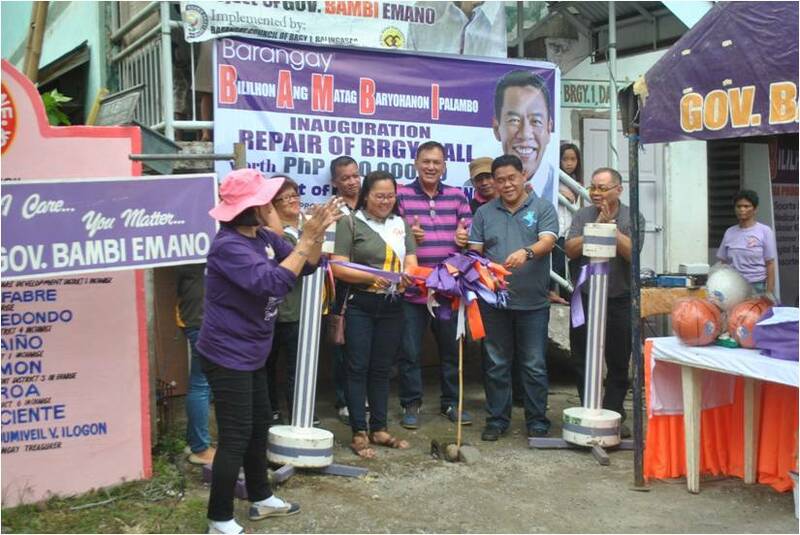 During the inauguration for the repair of the Barangay Hall of Brgy. 1, Balngasag, Mis Or.